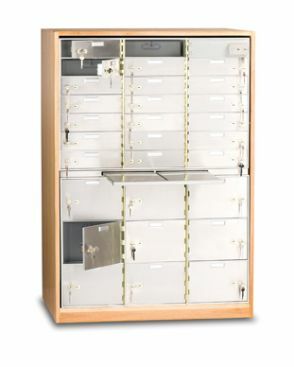 Burton Safes supply 3 different styles of safes deposit boxes to meet different customer needs. All offer an attractive stainless steel facia as standard, although aluminium and painted finishes are available on request. We offer the choice of dual key lock, electronic lock + key lock or, fully electronic locking. Electronic locks can be controlled by PIN codes, cards, fingerprints or palm vein recognition. We can supply and install anywhere in the world and are developing a reputation as a market leader in this field.